Thanks to your generous feedback, we’ve made a number of changes and added new features over the last few months. Here are the changes you’ll want to know about. We have taken on board all the feedback you’ve given us about the progress claims module and redesigned it from the ground up. We’ve tried to incorporate everything you mentioned to us such as automatically calculating retention, handling bank guarantees and printing a valid progress claim you can send straight to your client. Here is what the new editor looks like when creating a claim. 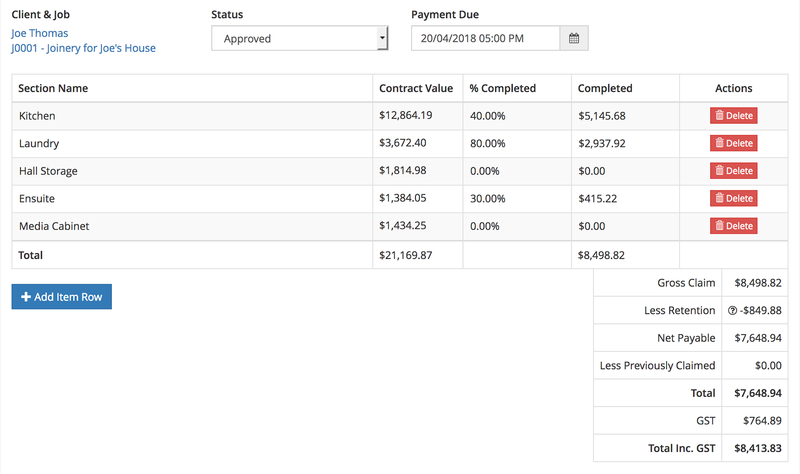 The contract values and line items are pulled straight from your estimate. Variations will also become visible here when entered as well. Due to popular demand, the estimating library has been changed to allow multiple levels of sections. 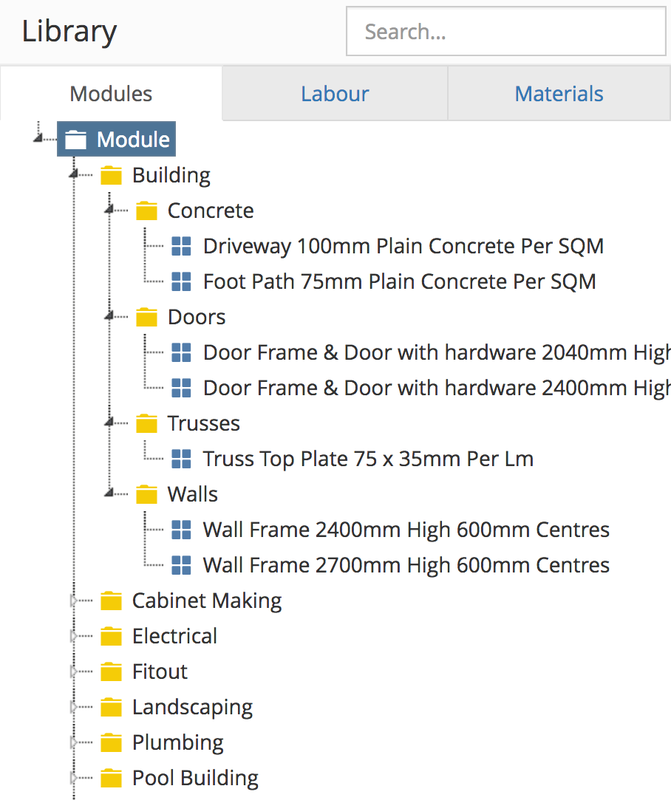 Previously you could only have one level of sections which made it hard to organise in certain cases, leading to really long lists of materials and labour. 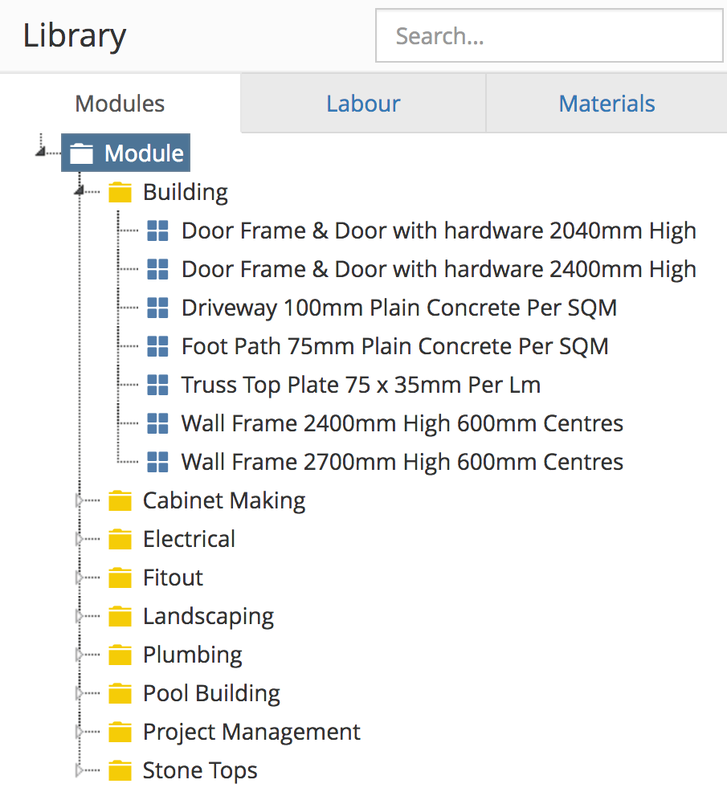 Now you can nest sections inside other sections allowing you to organise the library exactly how you like it. This change applies to Modules, Materials and Labour. Here is an example of what you could do before. And here is an example of what you can do now. 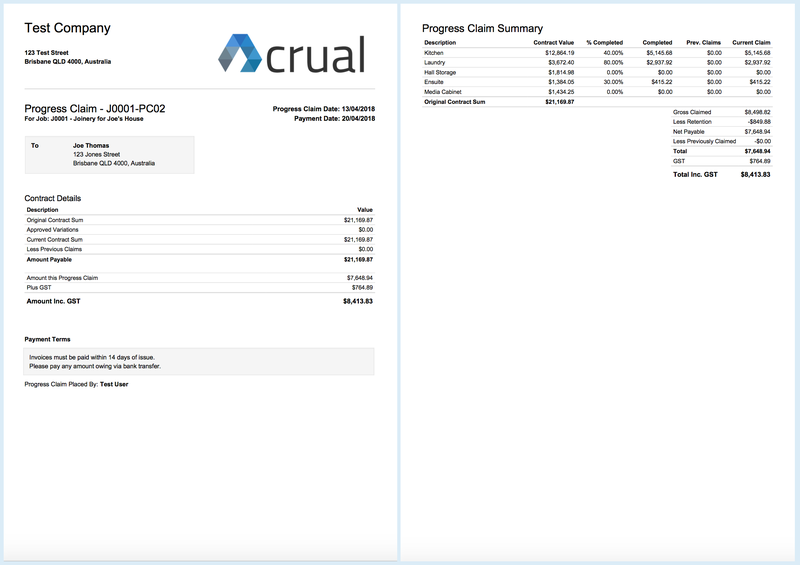 We are currently working on getting Acrual synchronising to the Xero accounting platform. This will let any Xero clients using Acrual automatically sync up their data. Initially we will be supporting invoices and time-sheets, but will later be supporting purchase orders as well. If you are interested in being an early adopter of this, and haven’t already let us know, please get in contact and we’ll let you know as soon as it’s ready to try out. Thanks for reading, as always, if you have any questions, please don’t hesitate to get in contact with us.